Enjoy panoramic views of the 10th fairway and plantation lake from this custom-built home featuring an open concept, split bedroom floor plan, wood floors and a soothing, beach-feeling color palette. The island kitchen opens to the great room which communicates seamlessly with the expansive outdoor living space via stackable sliders. The large covered lanai leads to a screen enclosed pool and spa with plenty of paver deck space for lounging and dining. Upstairs is private guest suite/bonus room with outstanding sunset views from the balcony. A 3. 5-car, garage provides ample room for vehicles, a golf cart and toys. 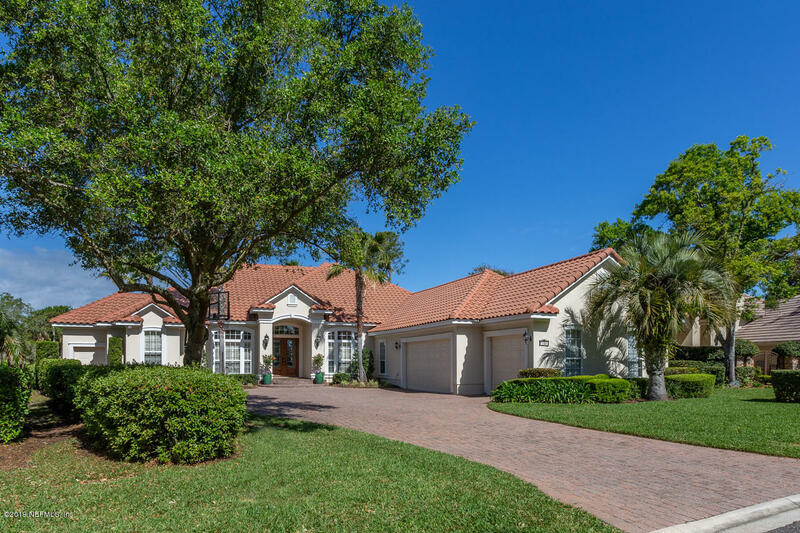 Located just steps away from the clubhouse, tennis courts, amenity park and practice tee, this home is ideally situated for optimum enjoyment of the plantation lifestyle! For more information or make an appointment to see property ID 987961.